Living the dream in Minnesota and Wisconsin often includes life on the water. Having waterfront property or access to a recreational lake definitely has its perks. What is better than spending time on a sailing yacht or pleasure cruiser? Yacht owners can live the good life as soon as the ice melts and the dock is in, as long as their boat is in good shape and ready to go. Now is a great time to get your pleasure vessel to the repair shop to take care of needed repairs or upgrades in order to have your prized yacht ready for the next boating season. 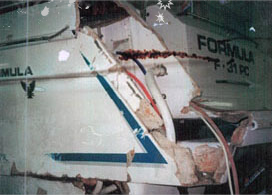 Storm damage can be especially devastating for yachts of all types. 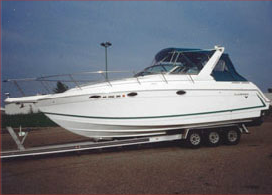 Anchor Marine Repair provides the highest quality boat repair and restoration services in the local yachting industry. What type of boat is considered to be a yacht? There is some debate within the yachting industry and the definition has evolved over time. To some people the term yacht conjures up the image of a large, recreational water vessel that screams luxury. For others, the image of a sailing watercraft or speedy cruiser come to mind when asked to describe what a yacht means to them. A yachtsman is likely to offer up a photo or description of his or her own pleasure boat as a way to show you a shining example. Anchor Marine Repair is staffed with boat-loving professionals that understand how much your yacht means to you. If a severe weather event has your prized sailing or motorized water vessel in need of repair, you can be assured that it is the best hands at Anchor Marine Repair. Our team is skilled in the art of restoring and upgrading floating vessels of all sizes. Contact Anchor Marine Repair to make arrangements for receiving the highest quality yacht services to repair storm damage. Call: (763) 972-3540.